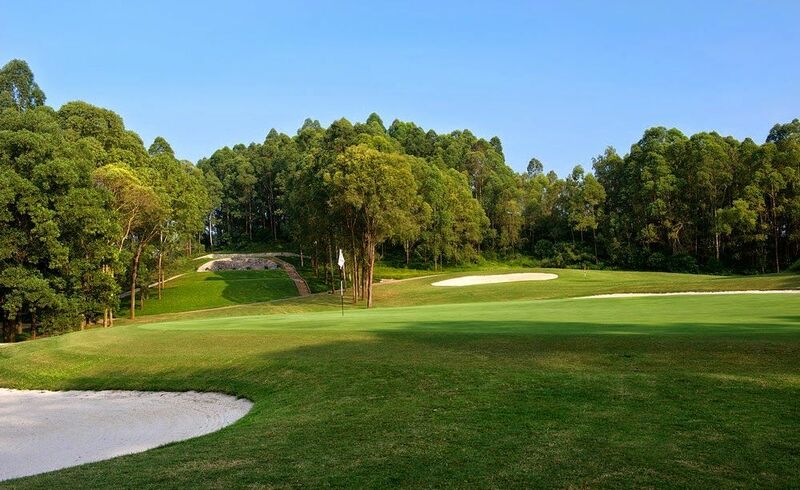 The view from the tees on the opening holes is of lush green fairways lined with very mature trees and well-positioned bunkers blocking the way so great accuracy is required with your driver. 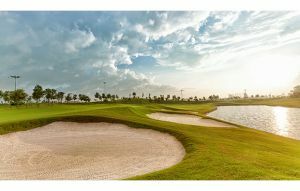 The 4th hole is a long par 3 surrounded by bunkers and anything short and right will find the water. Towards the end of the front nine the course starts to open out but the every-present water is always in your vision as you address the ball. The 8this a great par 3 with a long carry over water to a sloping green guarded by a bunker and the first nine ends with a short par 4. 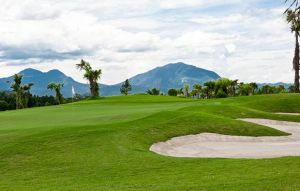 Great views of the mountains from the tee box as you start the back nine with a short dog-leg par 4 requiring a fade off the tee. 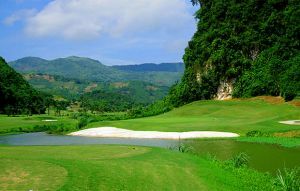 Two more dog-legs follow, both of which will tempt you to take on the water before you reach the 13th which is a difficult par 3 with a carry over water all the way to the green with bunkers right. Several more dog-leg par 4’s and 5’s before reaching the 17th which is a relatively short par 4. 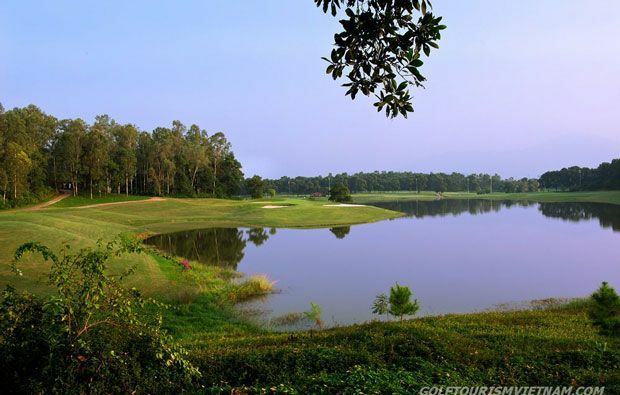 The finishing hole is yet another very tough dog-leg with a tree blocking the corner and a deep bunker on the other side and if you negotiate that successfully you have an approach over a small lake to the green. Excellent clubhouse facilities and dining options. 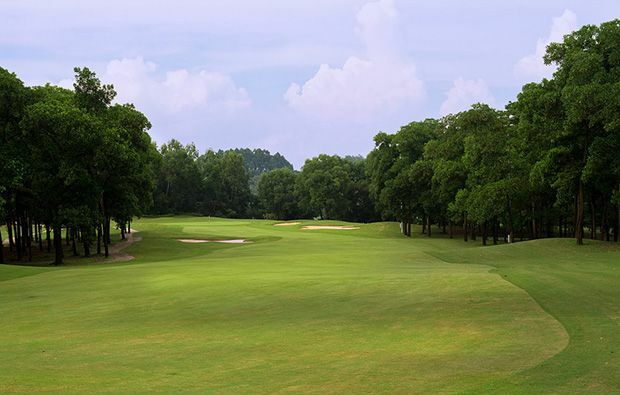 We can help you to make a tee time booking at King’ Island Golf Club with just a few clicks and you will also enjoy specially priced green fees. 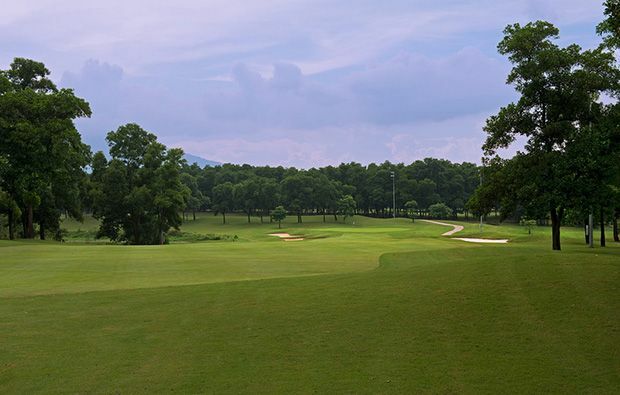 Kings Island Country Club Mountain View course has different Services to offer. Choose a date and number or players to see the rates.